Dig, Fight, Build! 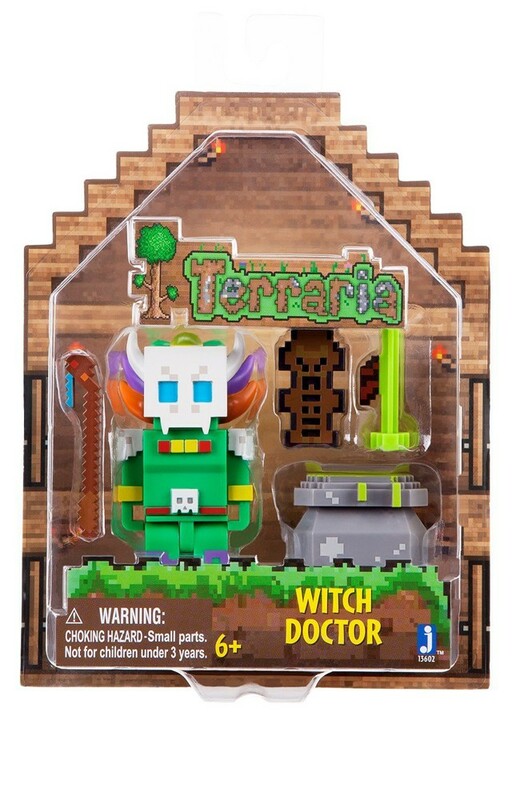 From the hit action-adventure video game series Terraria comes this new line of 3" action figures! This Witch Doctor comes complete with Staff, Blowgun, Tiki Totem, Cauldron and 5 points of articulation. Part of the Terraria series 1 action figures collection. Collect them all!